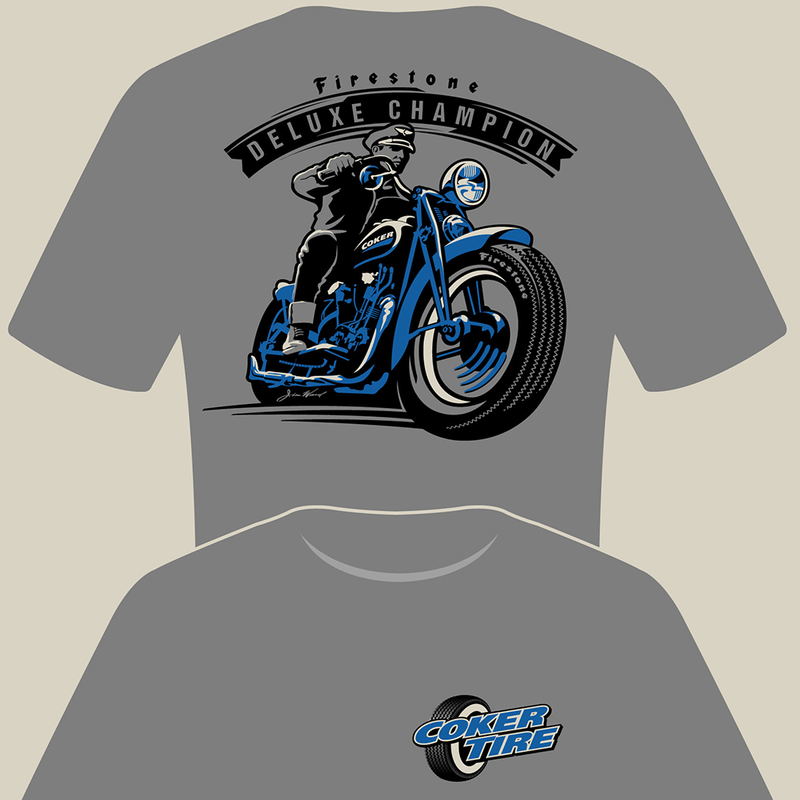 Coker Tire carries an enormous line of tires for vintage and custom motorcycles, and the Firestone Deluxe Champion product line is by far the most popular. We see these tires on bikes all around the world, and we hope to see these T-shirts around the world as well. A classic design covers the back of the 100% cotton T-shirt with a small Coker Tire logo on the front left chest.